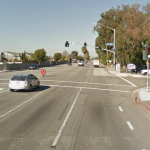 Westlake Village – An elderly pedestrian was struck and killed by a car Wednesday morning. 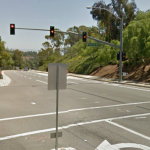 The pedestrian, an 83 year old male was on Agoura Road east of Lindero Canyone Road when he was struck by the car. The accident happened very early in the morning, before 6:00 a.m. The car that struck the pedestrian was driven by a 25 year old named Reyes Casanova-Varguez from Simi Valley. It is unknown why he struck the pedestrian as officials are looking into the circumstances surrounding the accident. Police found the victim lying on the road after the accident. Sadly, the pedestrian died immediately from the impact. Casanova-Varguez was booked on vehicular manslaughter and is being held on $50,000 bail at the Malibu/Lost Hills station.